‘House’ is not a word to be taken lightly here. At first glance, this is a Victorian residence with idyllic surrounds of the river Cam and Midsummer Common. On closer inspection, it’s an award-winning restaurant, where one of the UK’s most respected pot bashers Daniel Clifford is the chef-patron. In spite of all that, if you’re still just coming here for the river views over the Cam, get yourself up to the first floor lounge or terrace. Ah, The River Bar. A steakhouse with a view as good (and as rare) as the steak. The outlook the restaurant’s roof terrace affords would not seem out of place on a tin of shortbread. The 15th century Magdalene College isn’t going to look hideous even at the worst of times, but there’s something about rib eye steak, rosemary chips and an amaretto sour which makes it all that much better. With its bespoke glass ceiling and views of the River Liffey, Roberta’s is a handsome addition to the Dublin dining scene. 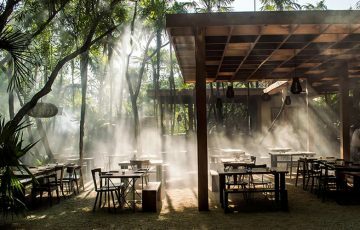 Head chef Troy Watson and his team are serving dishes like flame grilled Iberico pork with fennel salad and cod in ginger and spring onion both, as well as excellent wood-fired pizzas. There’s a terrace, too – perfect for cocktails in the sunshine. Three-time Great British Menu finalist Colin McGurran opened this pub-restaurant a few years ago. You can see why he chose the spot, as the outlook is spectacular. Perched on the confluence of the River Humber and Ancholme, perhaps it was always going to be. Fortunately it has the food to back it up too – dry aged shorthorn steak (matured by the restaurant itself) from the Josper grill is a particular highlight. Chef Alan Pickett is back in his whites and now leading the kitchen at the Swan, next door to Shakespeare’s Globe theatre. 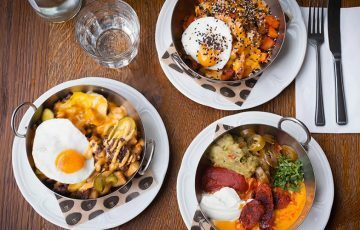 It’s open all day, serving breakfast, afternoon tea, and modern British dishes like slow-cooked ox cheek and Cornish fish stew. 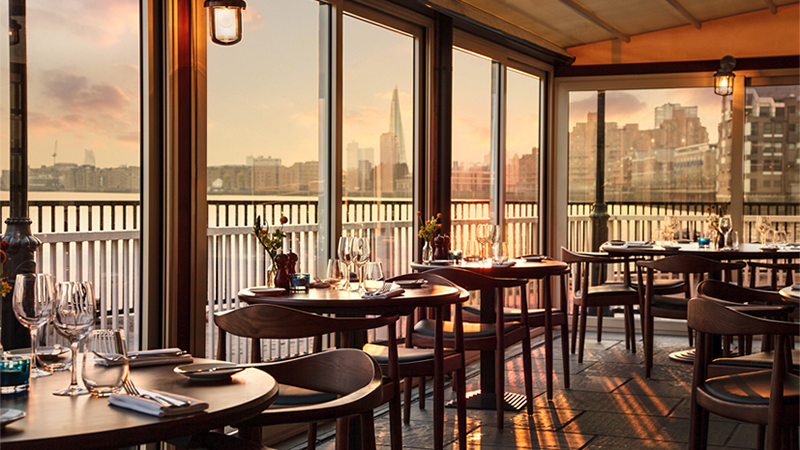 Drop in for lunch after a stroll along the Southbank or visit early evening for a sunset riverside supper. It’s fair to say that Gordon Ramsay’s Limehouse restaurant has a lot going for it. Namely the setting, which gives you good views of The Shard from one angle, and the skyline portrait of Canary Wharf from another. All while Thames clippers blast by. A table in the conservatory is proper real estate whatever the time of year, so book ahead. It’s British bistro fare all over at The Bristol hotel’s restaurant. 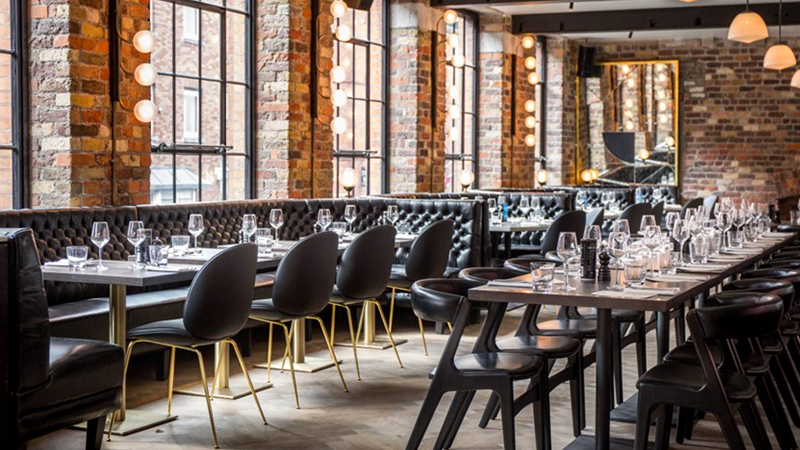 Expect 28-day aged prime cut steaks, roast lamb, and catch-of-the-day stone bass. Of course, there’s afternoon tea. Just to please the tourists, you might think. Then again, traditional tea, scones and sandwiches while admiring the quay just outside seems like a pretty good way to waste the day away. The Roux empire is as enduring as any other. 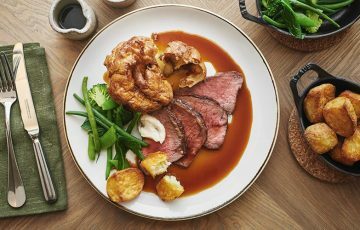 The Waterside Inn, particularly – this restaurant on the banks of the Thames has held three Michelin stars for a remarkable 30 years straight, and doesn’t look like losing them anytime soon. Booking, as you might’ve guessed, is therefore essential. 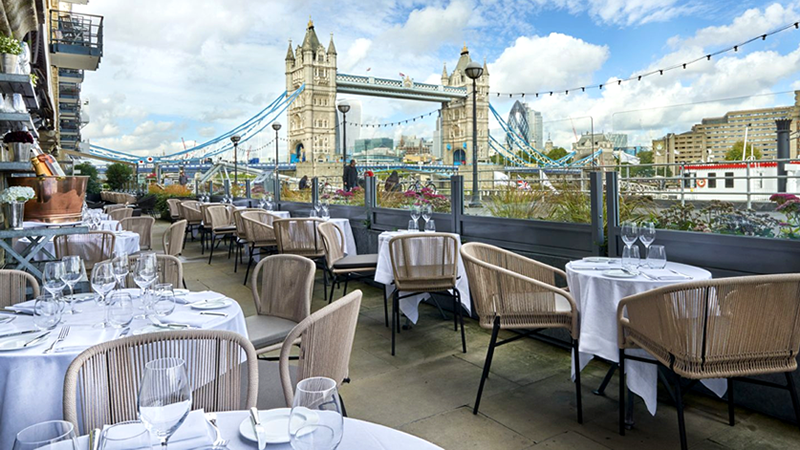 Where’s your favourite place to dine by the river? Let us know in the comments! Lots of amazing places in Scotland! Best seafood ever in the west coast. Harbour Brasserie in Ramsgate. Seafood specials and great desserts, right by the sea. Agree, West Coast of Scotland best for seafood. So many places to recommend with waterside views. The Seafood Restaurant in Kinlochleven. Pier House at Port Appin. To name but two. And how could I miss out Loch Melfort Hotel! As others have said, there are so many nice places in Scotland that could have been mentioned. The Silver Darling in Aberdeen is a wonderful experience . Water’s Edge, Bramerton near Norwich. Beautiful scenery, amazing food!